Ibrahim Badamasi Babangida popularly known as IBB is a seasoned veteran Nigerian politician that was born in 1941. 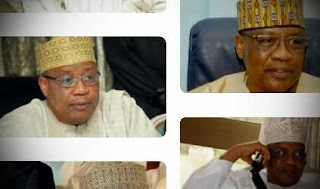 This post contains details about the current net worth of Ibrahim Badamasi Babangida and some facts about the General. Q: Ibrahim Badamasi Babangida IBB Quick Facts? 1. IBB was a Nigerian General that was the President of Nigeria from 1985 to 1993. 2. He played a significant role in most of the military coups in Nigeria,he was born in Minna, Niger State, Nigeria,IBB attended Provincial Secondary School, Bida,Nigerian Military Training College,Indian Military Academy and the Command and Staff College, Jaji,he is also nicknamed Maradona while some people call him the ev*l genius. 3. He had an active military career in the Nigerian Army from 1962 to 1993 and rose to the rank of General. 4. IBB has been credited with the creation of more states and local governments,in fact under his administration he created 11 more states. 5. He cancelled the 1993 presidential election which was won by M.K.O Abiola,also he has been accused of being the one responsible for the early passing of Dele Giwa,a magazine editor critical of Babangida's administration. 6. IBB married Maryam Babangida,the union was blessed with four children. 7. IBB has been accused severely of looting the national treasury when he was head of state,over $15 Billion dollars went missing,he is also reported to have different real estate and investments worth billions of Nigeria in Niger state and other locations. 8. IBB also has interest in the telecommunications and oil industry in Nigeria,it's reported that he owns 65% of Fruitex International Limited in London and 24% of Glo network. Q: IBB's Current Net Worth? IBB's current net worth is estimated to be between $5 - $10 Billion US dollars.